Johnson Pumps	There are 6 products. 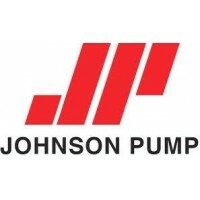 JOHNSON CM10P7-1 JS 10-24486-04 Mag Drive Centrifugal Circulating Pump, 24Volt, 4.0GPM, 5/8" Hose Ports, Plug/Spade Wire Connector Terminals. A line of compact Magnetic Driven centrifugal pumps, the CM10P7-1 10-24486-04 combine high flow rates with very low electric current consumption, making them ideally suited for circulating water in live fish tanks, heating, and cooling systems. 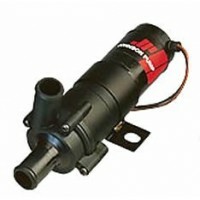 JOHNSON CM30P7-1 JS 10-24503-03 Mag Drive Centrifugal Circulating Pump 12Volt 5.2GPM 5/8" Hose Ports, Wire Leads. A line of compact Magnetic Driven centrifugal pumps, the CM30P7-1 combines high flow rates with very low electric current consumption, making them ideally suited for circulating water in live fish tanks, heating and cooling systems. JOHNSON CM30P7-1 JS 10-24503-04 Mag Drive Centrifugal Circulating Pump 24Volt 5.2GPM 5/8" Hose Ports, Wire Leads. A line of compact Magnetic Driven centrifugal pumps, the CM30P7-1 combines high flow rates with very low electric current consumption, making it ideally suited for circulating water in live fish tanks, heating and cooling systems. JOHNSON CM30P7-1 10-24504-03 Mag Drive Centrifugal Circulating Pump 12Volt 6.9GPM 3/4" Hose. A line of compact Magnetic Driven centrifugal pumps, the CM10P7-1 and CM30P7-1 models combine high flow rates with very low electric current consumption, making them ideally suited for circulating water in live fish tanks, heating and cooling systems. JOHNSON JS 10-24504-04 Mag Drive Centrifugal Circulating Pump 24Volt 6.9GPM 3/4" Hose Ports, Wire Leads. A line of compact Magnetic Driven centrifugal pumps, the CM10P7-1 and CM30P7-1 models combine high flow rates with very low electric current consumption, making them ideally suited for circulating water in live fish tanks, heating and cooling systems.